Use iPads to draw with light on the walls of the City Eye Production Lab with artist, and City Eye trustee, Alys Scott-Hawkins. ‘a space’ arts has collaborated with a number of Southampton arts organisations for this year’s Big Draw Festival. 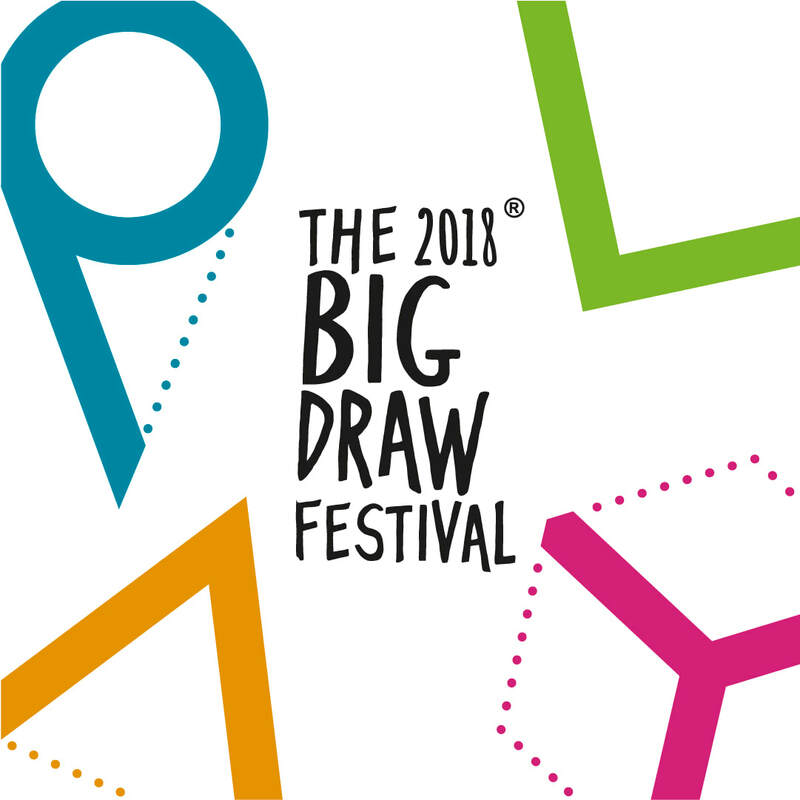 Play in the city invites everyone to join us for a day of free drawing activities in Southampton’s cultural quarter as part of the Big Draw 2018. John Hansard Gallery, City Eye, Solent Showcase and City Art Gallery will collaborate alongside local artists represented by ‘a space’ arts to offer an exciting programme of free drop in activities to encourage people of all ages and all levels of experience to play with the possibilities of drawing. To take place on Saturday 27th October. All venues are free and fully accessible. Create a giant collaborative pendulum painting with artist Gemma Gore, in partnership with ‘a space’ arts. Play with coloured acetate, markers, light boxes, mini projectors and OHP’s to transform our screening room into an ever evolving artwork with artist Vanessa Rolf. Join a collaborative art piece led by local artist Chantelle Lyraness. The floor of the gallery will become your canvas to explore the marks and patterns we can make together, with the back drop of our exhibition Black To The Future, for Black History Month. Join us to draw the gallery, the art, the people. Get advice and encouragement from Urban Sketchers who will be on hand to help explore drawing techniques, perspective and composition. In partnership with ‘a space’ arts.